Barnet College are a regular delivery partner at the Rainbow Centre. 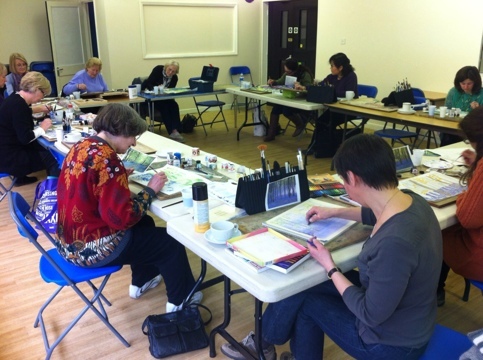 They are currently running regular IT and ART classes on a TUES, WED and THUR. See our rainbow schedule summer 2018 or visit the Barnet College website for more details. Thanks for the interest in the art class. I have passed your details to Barnet college who run the course. thank you I might not be able to come now as I have a job interview today so may be working full time sorry this was just an option for me.